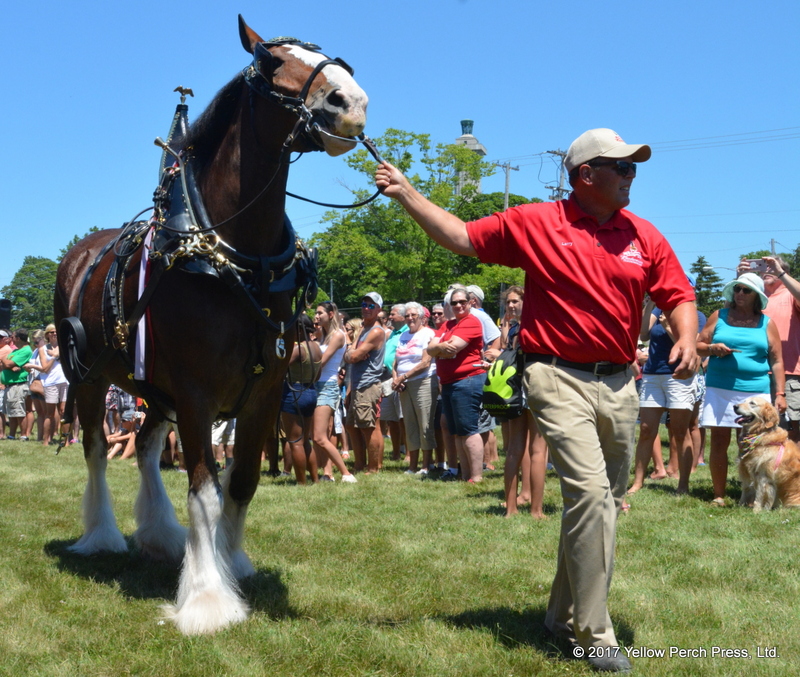 On a wonderfully sunny day for visitors and islanders to enjoy the weekly antique car parade, the Budweiser Clydesdales added a special aura of celebration. An informative display of the unique draught horses prior to the parade drew numerous observers to McCann Field. The village streets surrounding DeRivera Park, crowded with onlookers, provided a perfect vantage point for the experience.